Introducing the Jarvis MCT Multi Coil Tank possibly the most versatile tank on the market today with the ability to use multiple brands of ready available coils. 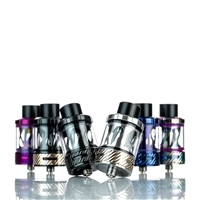 The SMOKtech TFV8 Baby Beast Sub-Ohm Tank redefines the compact form factor segment, introducing one of the most capable coil systems and performance profiles available in it's class, reducing overall size as compared to the full sized TFV8 by 30% while maintaining a 3 milliliter tank reservoir and introducing a class leading V8 Baby Coil Family. The Uwell Nunchaku Sub-Ohm Tank is a revolutionary tank following the successful Valyrian and Crown series, integrating an elegantly chassis design with 5mL max juice capacity, dual bottom airflow, and the utilization of the plug-pull Pro-FCOS Coil Technology. 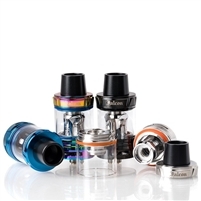 Horizon Falcon Sub-Ohm Tank is the new flagship Sub-Ohm atomizer from Horizon Tech, featuring a luxurious chassis design with triple bottom airflow system and a new coil technology with innovative flax and wood pulp materials. The Vaporesso SKRR Sub-Ohm Tank is the latest flagship Sub-Ohm platform, presenting a staggering 8mL eJuice capacity, child-proof top-fill method, dynamic airflow channels, and the utilization of the QF Coil System. 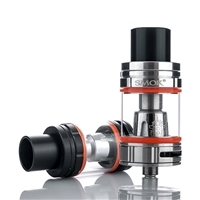 The SMOKtech TFV8 Big Baby Beast Sub-Ohm Tank redefines the compact form factor segment, introducing one of the most capable coil systems and performance profiles available in it's class, reducing overall size as compared to the full sized TFV8 by 20% while maintaining a 5 milliliter tank reservoir and adding to the class leading V8 Baby Coil Family.